If you are considering a certified nursing assistant program, it’s important to think about the career prospects available after you graduate. In Johnson City, like the rest of Tennessee, there is a severe shortage of health care professionals to tend to the aging and retiring baby-boomers. Though advances in health care increase the average life span, the majority of the senior population need care for multiple chronic conditions. 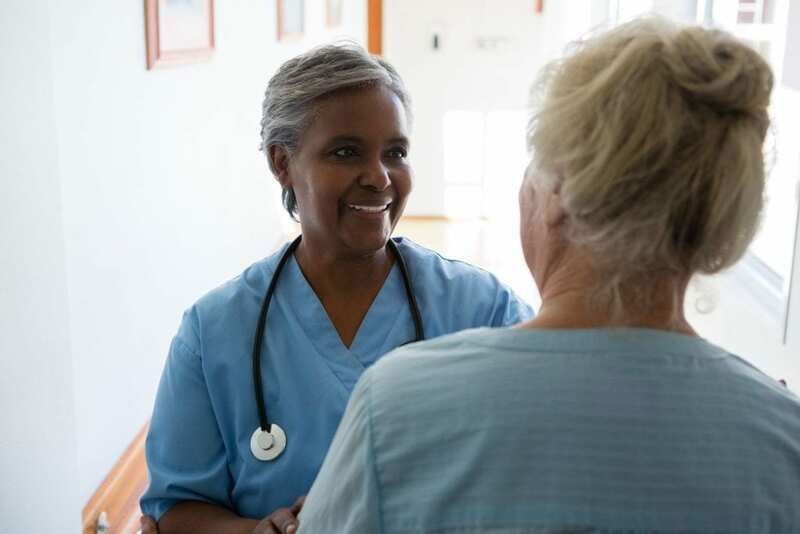 Vacancies exist in clinics, hospitals, and long-term care facilities for CNAs to provide direct patient care under the supervision of a licensed nurse. The shortage of registered nurses also creates more demand for CNAs. Understaffed facilities can meet patient needs and maintain the staff-to-patient ratios when CNAs manage the direct patient care needs and leave nurses to “run the show.” The nurse aide training must meet federal and state requirements to allow graduates the privilege of taking the state certification exam to be added to the Tennessee Nurse Aide Registry. The Tennessee Department of Health requires training programs to provide at least 75 hours of training in the classroom and clinical site. The on-site skills labs and supervised clinical experiences help students develop the practical skills that are essential in patient care. The clinical also gives students some insight into the profession, which will help them determine the areas where they would like to practice. According to BLS.gov, the job outlook for nurse aides and orderlies is expected to rise 17 percent by 2024. The projection translates into an employment change of 267,800 new jobs between the years 2014 and 2024. NHC Healthcare’s intense nurse aide program helps dedicated and compassionate adults prepare for a career in nursing. The duration of the program is 17 days and includes time in the classroom and a supervised clinical experience at NHC Healthcare that commences during the third week. Classroom sessions are Monday through Friday from 8:00 am to 4:00 pm for the first two weeks. The clinical sessions meet Monday through Friday from 6:30 am to 3:00 pm. Full attendance is required for the 17-day program. Students must earn an average of 85 percent to graduate from the program. Students must purchase two uniforms, a watch with a second hand, clean nursing or athletic shoes, and supplies for the classroom. Tuition is free. Employment opportunities may be available for successful graduates. TCAT’s nurse aide program provides the basic training that adults need work in long-term care, deliver high-quality care, and encourage career development. The curriculum includes 120 hours of instruction in the classroom, skills lab, and approved health care facility. Students are expected to attend all 80-classroom hours followed by 40 hours in a nursing home facility. Classroom sessions meet Monday through Friday from 8:00 am to 2:30 pm for 15 days. Students meet Monday through Friday from 7:00 am to 1:30 pm for 5 days at the nursing facility. They learn resident rights, resident independence, role of the nursing assistant, communication and interpersonal skills, infection control, emergency, safety, personal care skills, basic nursing skills, restorative services, mental health and social needs, and care of the cognitively impaired. Tuition costs $363. Books and supplies cost an additional $269. The Mountain States Health Alliance CNA program covers the basic requirements students will need to provide direct patient care under the supervision of a registered nurse. The program meets federal and state requirements for nurse aide training, so graduates are eligible to sit the state certification exam. Applications must be submitted online. Upon submission of the application, the applicant will receive instructions for completing the online assessment, which is an important part of the application process. The primary form of communication during the enrollment process is email. Students must obtain liability insurance before commencing the clinical component of the course. Admission is limited to 50 persons per session. The curriculum covers 60 hours in the classroom and 40 hours in a supervised clinical setting. The training is offered on an evening and daytime schedule. In addition to the classroom lectures, students will complete the clinical experience at a designed Mountain States facility. The clinical rotations are typically 10 hours from 8:00 am to 6:00 pm. The training is offered free of charge. There is no contractual obligation for accepting the training. However, jobs at Mountain State Health Alliance are available for all graduates. The Health Science Cluster offered at the Science Hill High School College prepares students for a variety of careers in health including certification as a nurse aide. The Health Science Education module introduces students to the career options available within healthcare to make an informed decision and increase their chances of success in their chosen area. The module introduces students to basic anatomy, infection control, and the legal aspects of care. Rehabilitative Careers is another module that prepares students for rehabilitation careers in all areas of therapy and includes training in the diagnosis and treatment of injuring, physiology, anatomy, and related courses. Medical terminology gives students a working knowledge of the language that medical professionals use. It includes the understanding of prefixes, suffixes, roots, combining forms, and abbreviations that will help students with word building. Students will know how to identify and pronounce medical terms used in body structure and function, diagnosis, pharmacology, and clinical procedures. The Clinical Internship module is open to students who complete three modules within the Health Science Cluster and meet the requirements for admission. It gives students the opportunity to provide patient care in rehab centers, hospitals, and other health care facilities. The Nursing Education Clinical is another module that grants students the eligibility to take the CNA exam to be added to the Nurse Aide Registry.